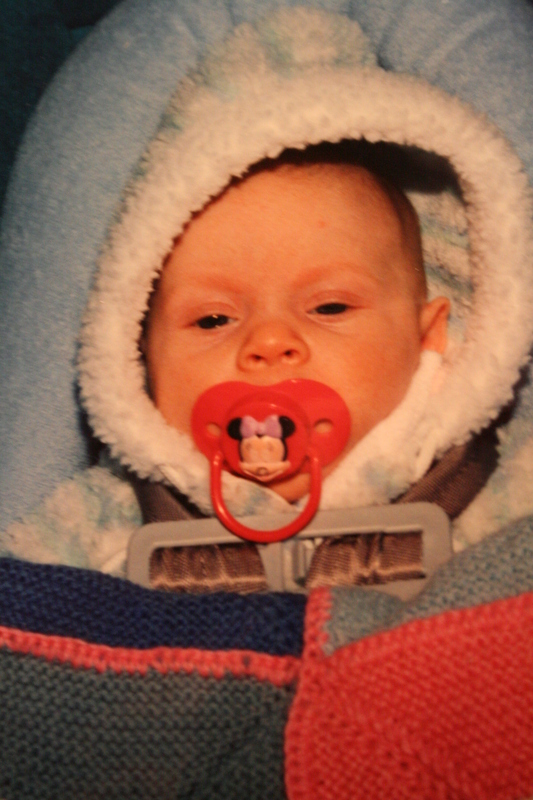 Fifteen years ago today our daughter came into the world - 6 lbs., 12 oz. of red, screaming fury. She's a little taller now, weighs a little more, but she's still known for the occasional bouts of screaming fury. Ah, teenagers. 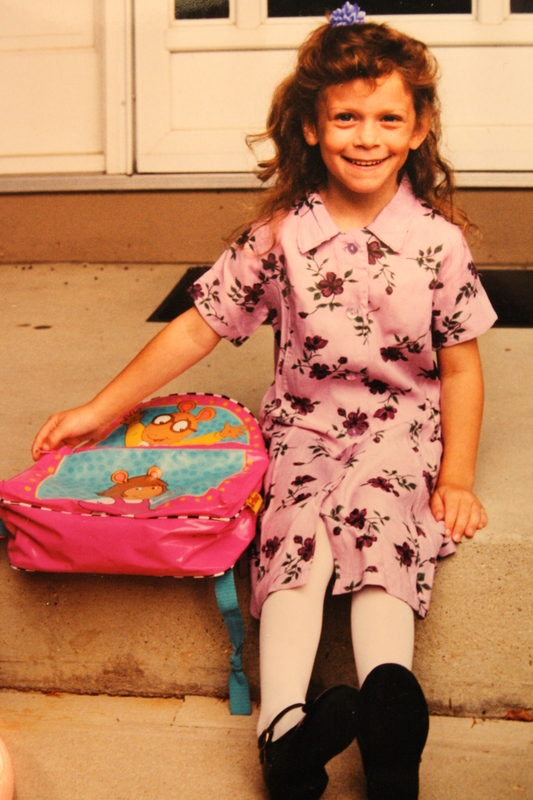 This photo was taken on her first day of kindergarten. I had two other children, one going to half-day preschool, the other a toddler still at home. My daughter's kindergarten was half-day, too, so I made sure both of them went at the same time. Those were the most quiet couple hours I'd known post-children. And, if number three went down for his nap at the same time? Nirvana. A mother's dream. From kindergarten to a freshman in high school. Fifteen years gone, just like that. Watching her grow up from day to day, it's easy to forget she was ever that small. Now life's so full with her school, her friends, her activities. But once upon a time she was the little girl who went to half-day kindergarten, the one who brought me home the pictures she'd drawn, her practice alphabet pages, the crafts she made for me on Mother's Day. Now she's in advanced algebra, Spanish class, orchestra, drama club … The list goes on. Makes me long for those alphabet pages. Next Post 2008 Wrap Up – Top 10 Reads and a Descent Into Weirdness.